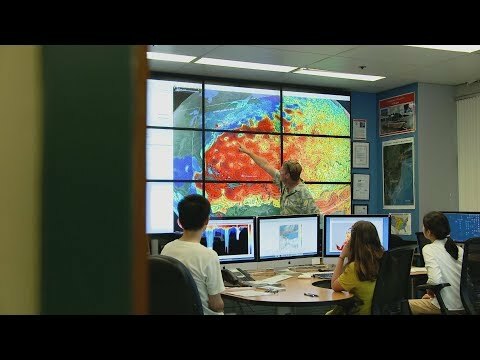 Newsroom Home / SEBS Departments / Ecology, Evolution and Natural Resources / Go Fish! Share the post "Go Fish!" Olaf Jensen’s research on Mongolian fisheries has shed light on the effects of climate change, and opened a world of opportunity for students. What initially attracted Olaf Jensen to Mongolia was its population of a unique fish called taimen. It’s the largest species of trout in the world, growing up to six feet long and reaching 200 pounds. In recent years, a booming recreational fishery has brought tourists from all over the world to Mongolia in pursuit of this prize. At the same time, the area is experiencing temperature increases at more than triple the rate of the global average. 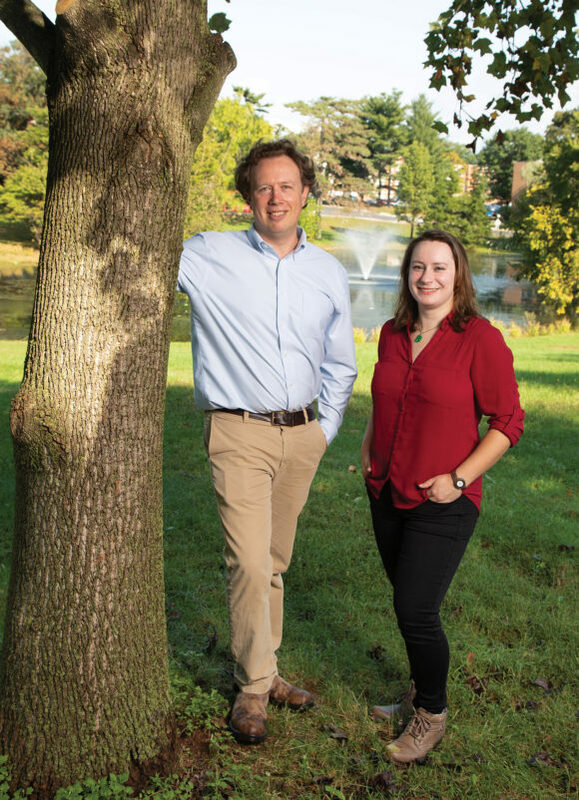 Olaf Jensen and Abigail Golden on the George H. Cook campus. As an expert in aquatic ecology and fisheries management, this combination piqued Jensen’s interest. His research in Mongolia explores “how climate change may have a direct impact on the fish, and spawn indirect changes in human behavior,” he says. Part of this is bringing students from all over the world, including Rutgers, to propose and execute their own research projects. One project explored how the fish are thriving despite rising water temperatures; yet another examined how two species of fish that both feed on drifting insects coexist. Upon arriving at Rutgers, Golden proposed a project and secured funding. She traveled to Indiana University to take Mongolian language and cultural training. And then she was off for a research trip to the area. “I was interested in understanding how a fishery operates when you have people from such different backgrounds and interests fishing for the same thing,” she says. 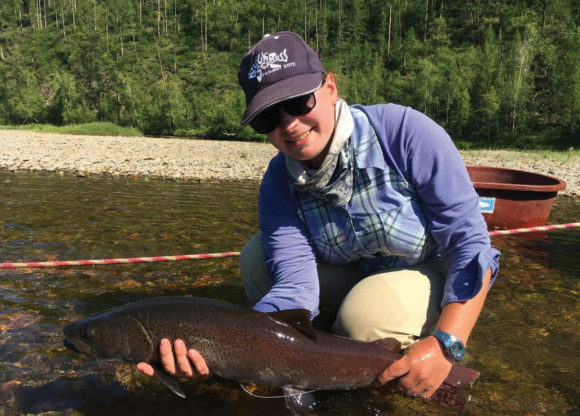 During her 10 weeks in Mongolia, Golden spent time with two American-run fishing camps that catered to foreign tourists. She traveled on the boats with them, conducted interviews, and led surveys. Editor’s Note: This article first appeared in the fall 2018 edition of Explorations.